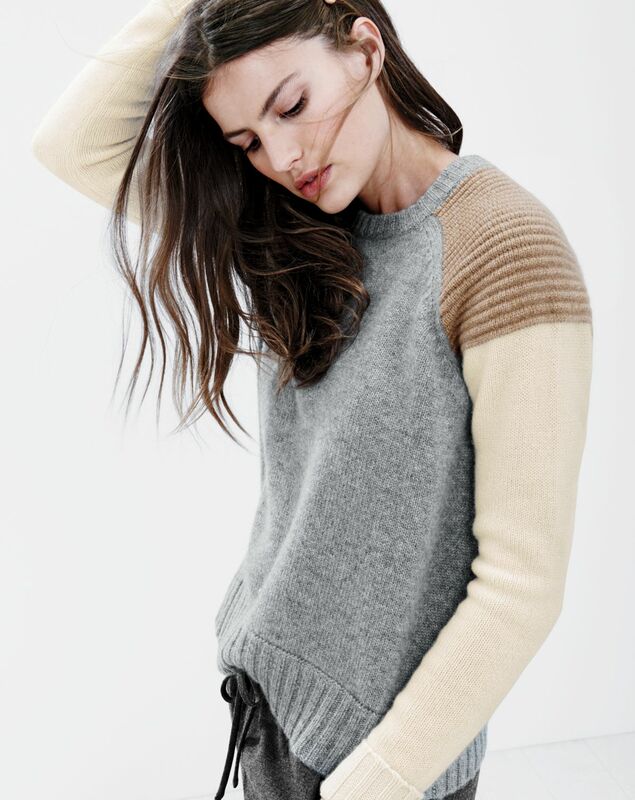 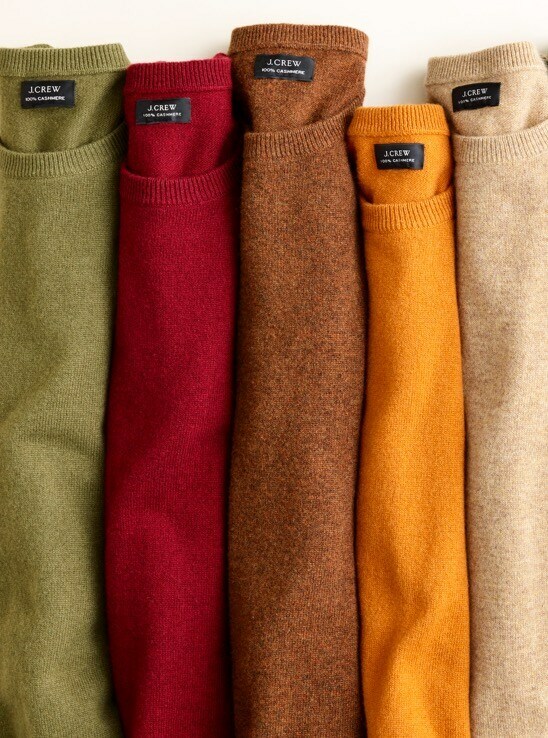 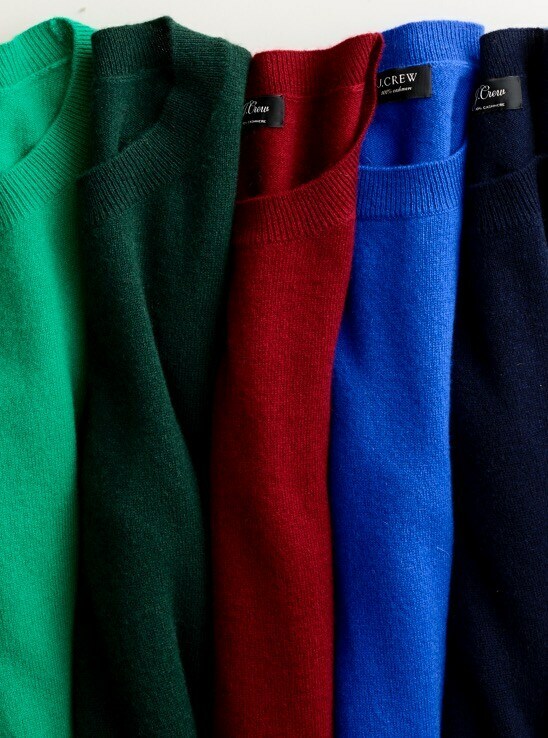 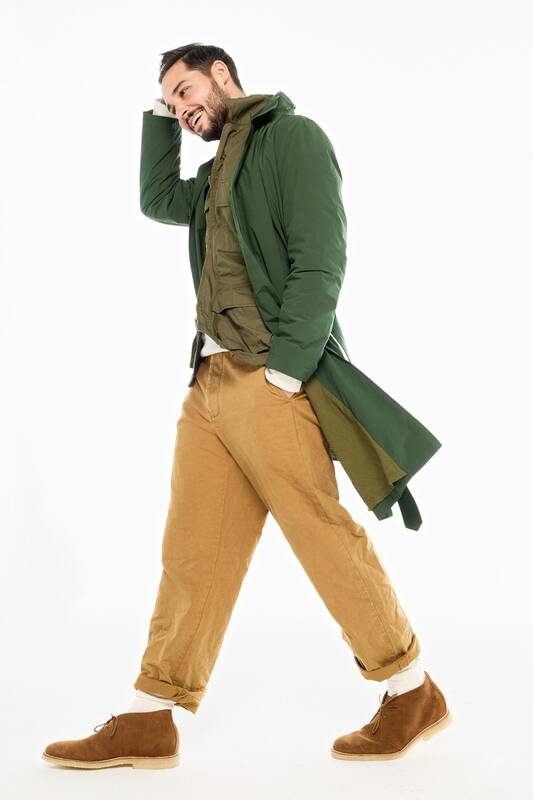 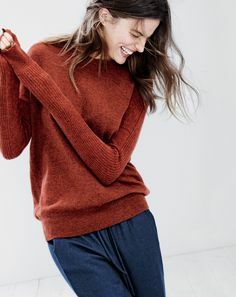 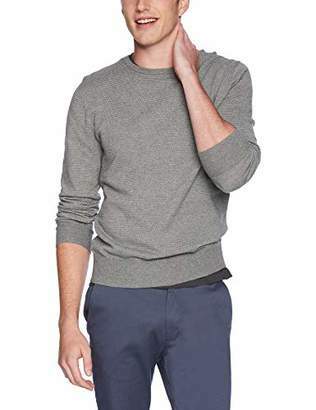 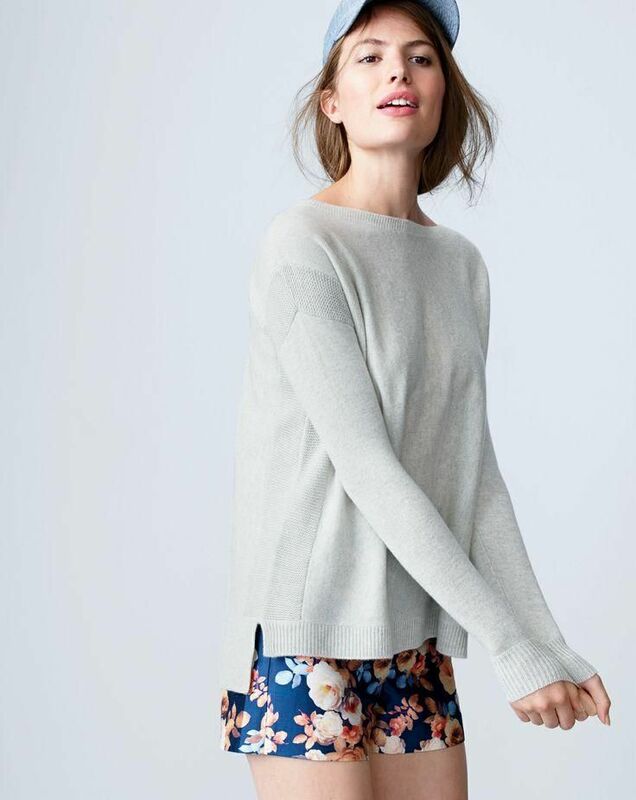 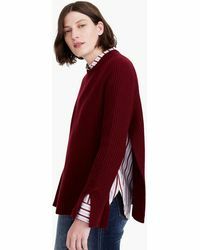 J.Crew women's colorblock cashmere sweater and drapey sweatpant. 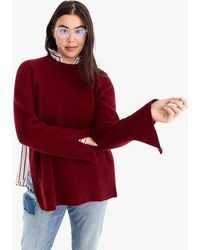 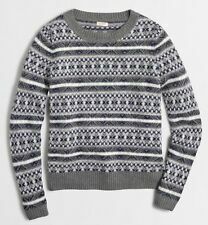 I want this sweater! 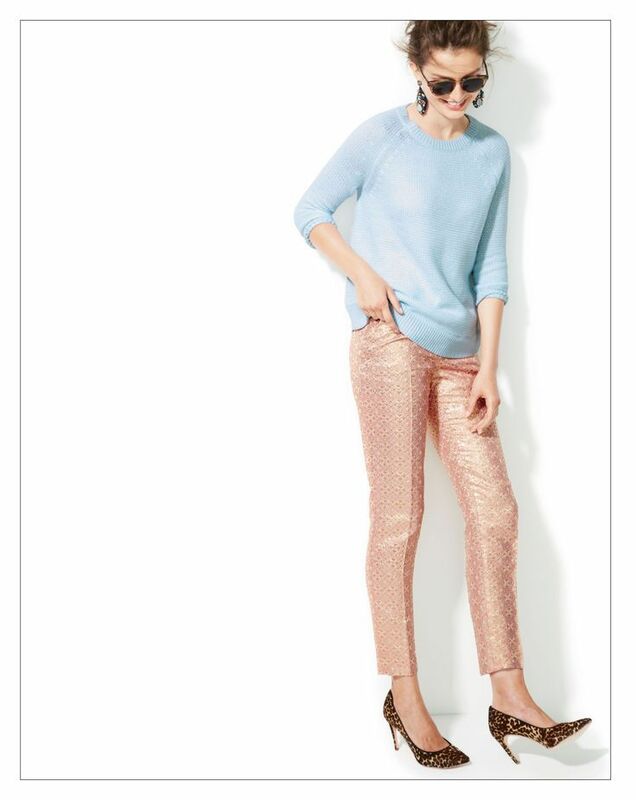 J.Crew Collection Café Capri in quartz jacquard. 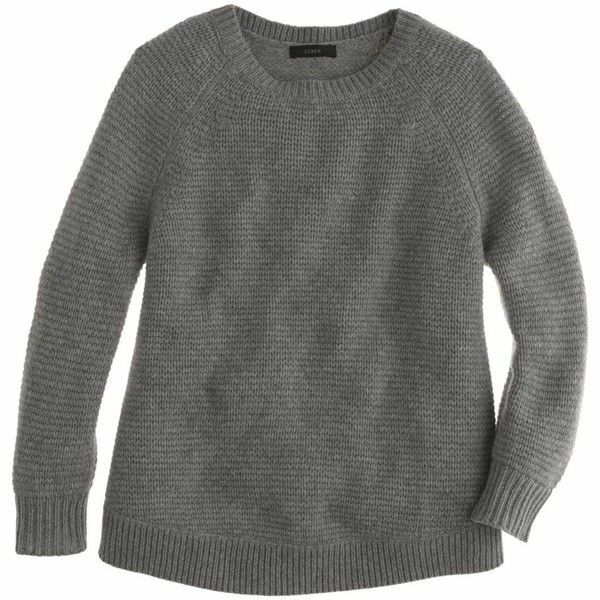 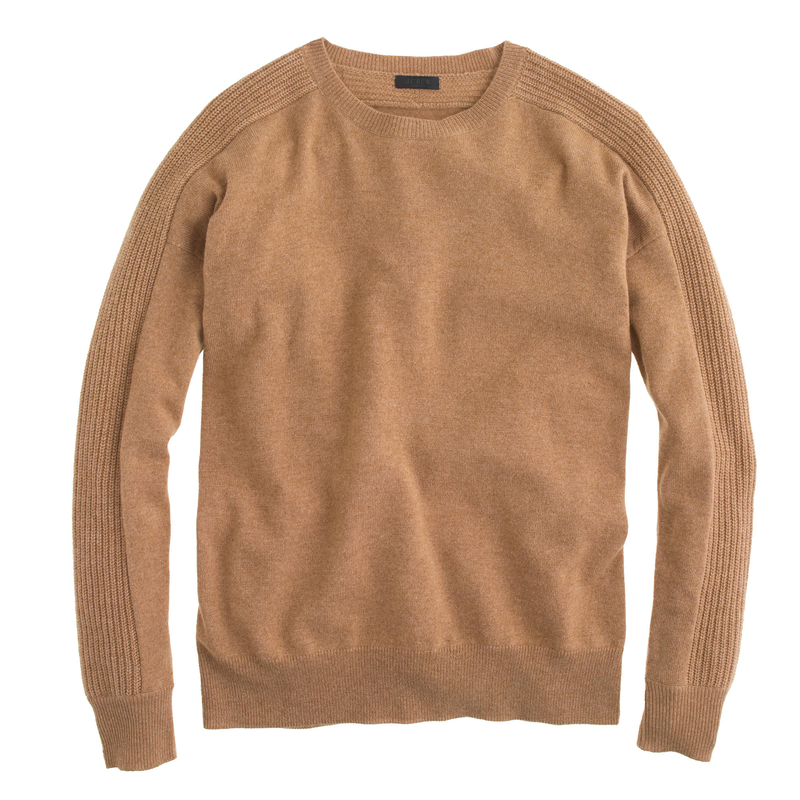 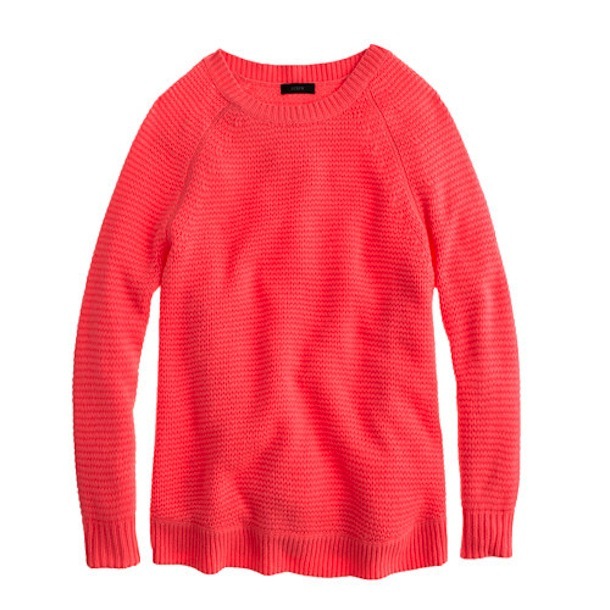 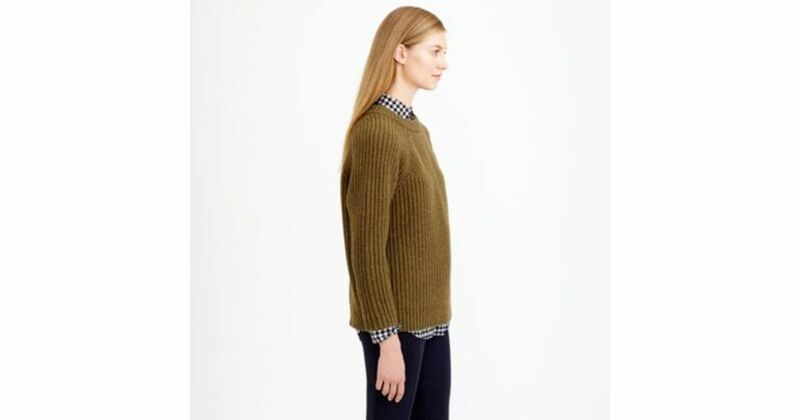 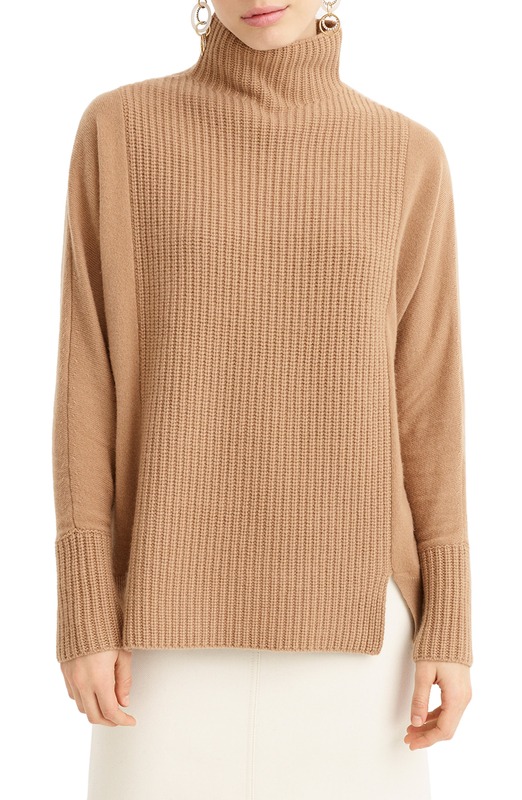 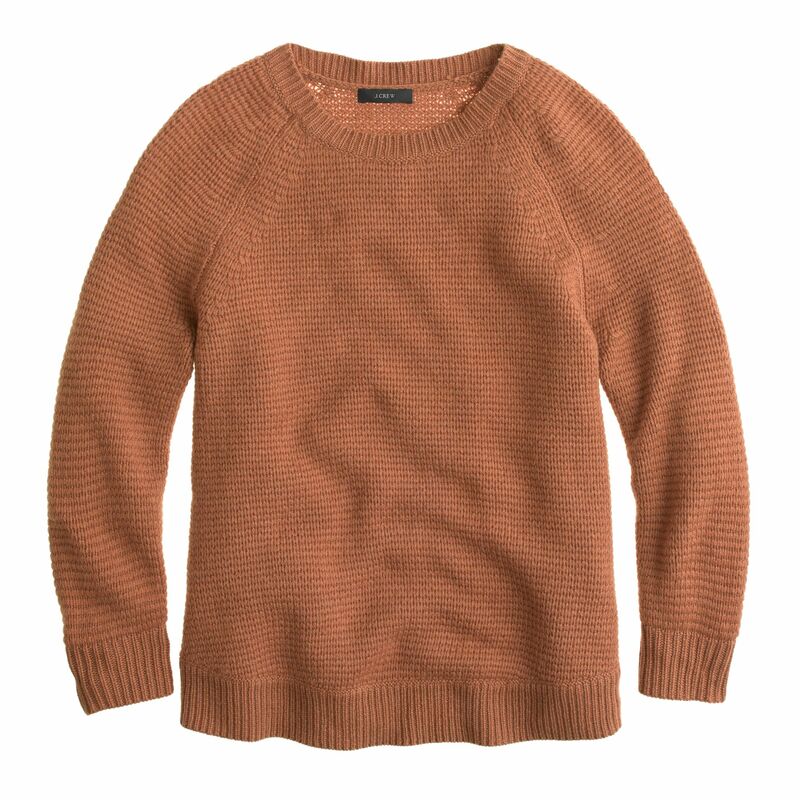 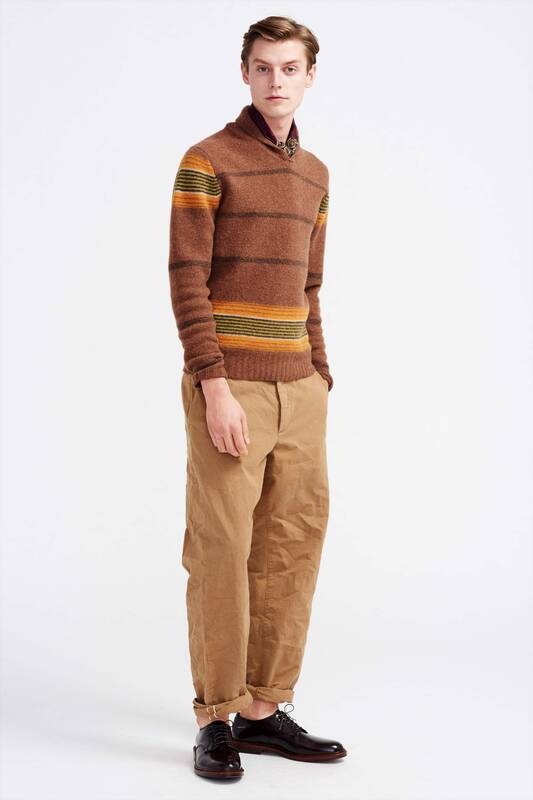 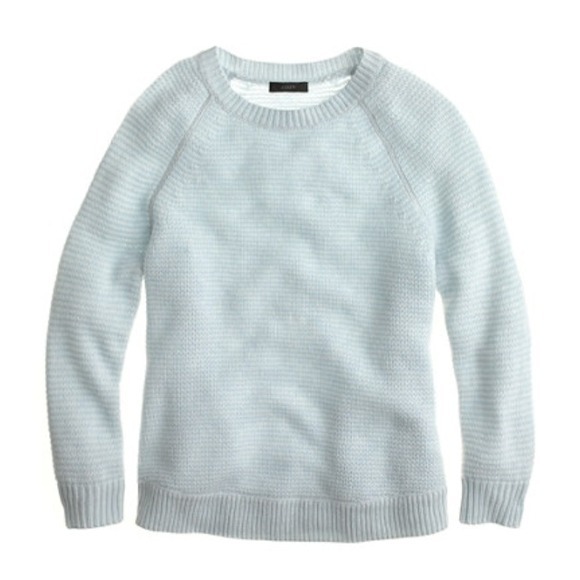 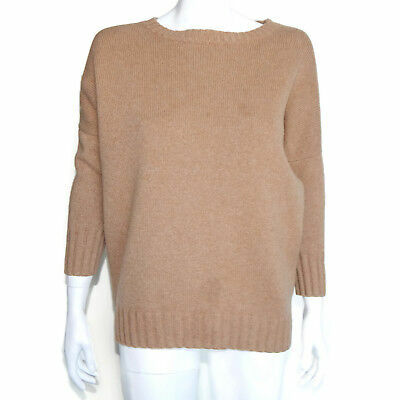 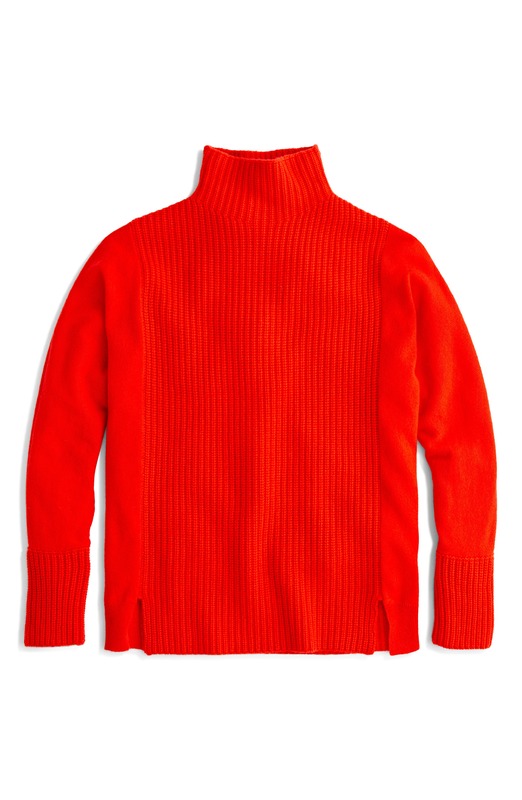 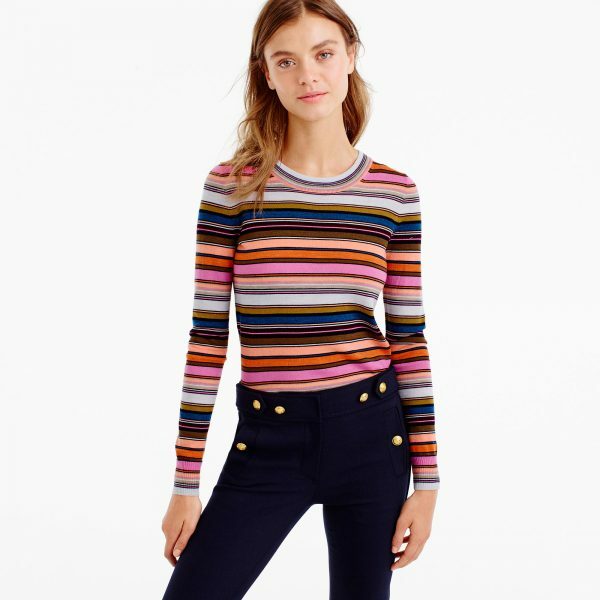 J.Crew Mercantile Crew neck fisherman cable knit jumper in marl .